I am just in receipt of yours of the 10th inst. Your son, Lieutenant P.H. 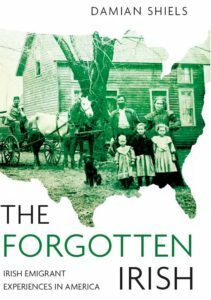 Hayes, was buried near the road leading to Williamsburg, and his grave is carefully marked, so that his remains can, at some future time, be removed, but at present it would be impossible. I endeavored to purchase a metalic coffin in Williamsburg, but none could be had there. I am now moving to the front, but I shall do all in my power to further your wishes in regard to the remains of your son. Allow me to mingle my tears with yours, for while you have lost your only son, my regiment has been thereby deprived of one of its most gallant officers, whose name will be revered by all who knew him, and who fell while leading his men in the thickest of the fight. 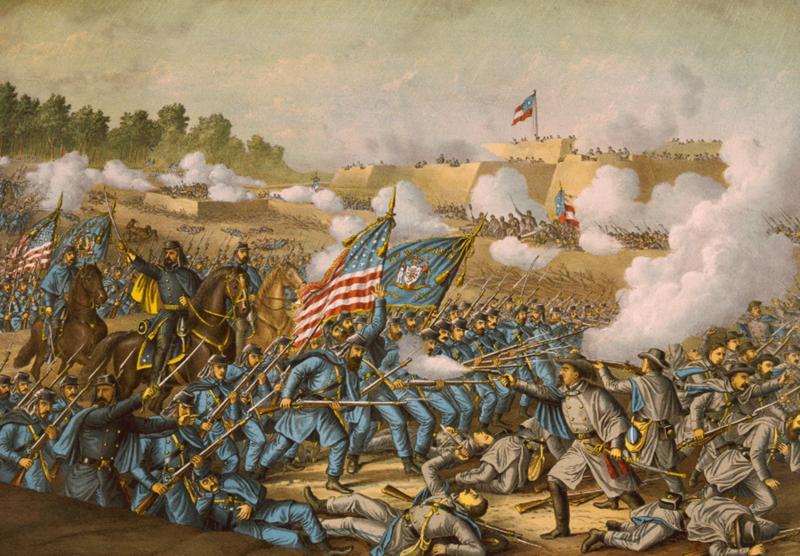 The gallantry of Lieutenant Hayes and the brave men who fell with him, of the 37th, together with the noble conduct of the 5th Michigan, turned the tide of battle, and his name should form a bright page in our country’s history. 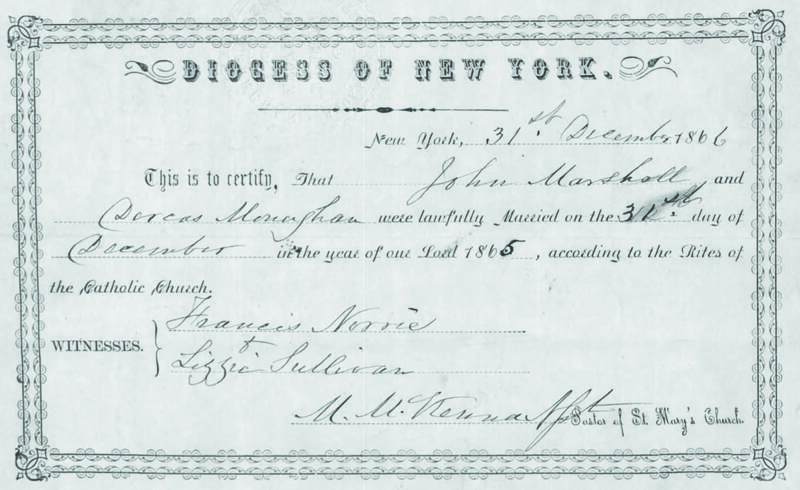 The Marriage Certificate of Dorcas Monaghan and John Marshall, 1865. 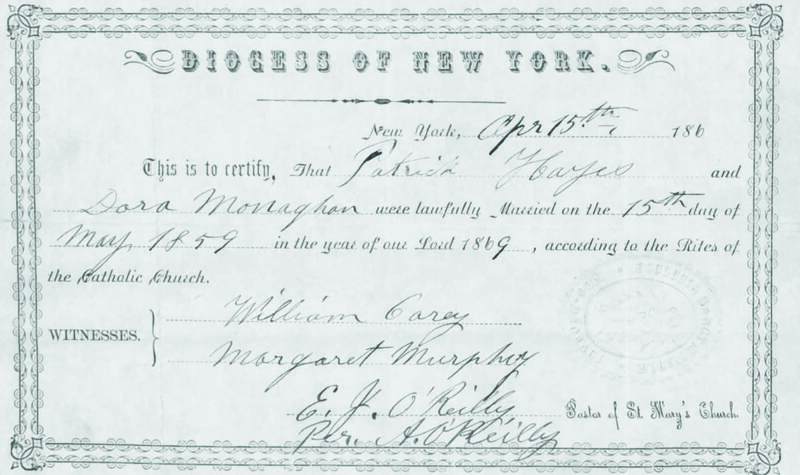 The use of her maiden name, 'Monaghan' rather than her married name 'Hayes' would cause Dorcas difficulty in years to come.